A candidate’s overall score is comprised of the total marks from each of the 5 interview stations as well as marks from the validation of a candidates self-assessment questions which are completed as part of the application. The minimal appointable score is usually about 70% (i.e. candidates have to score at least 70% of the points on offer to be eligible for a registrar job). 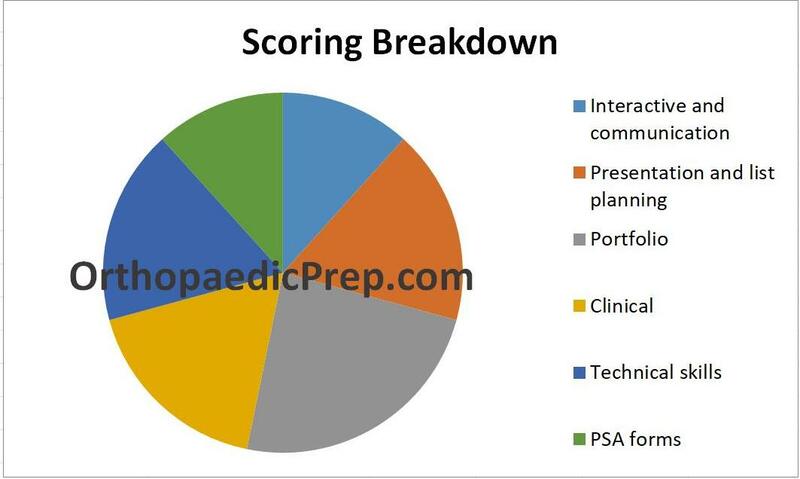 The score breakdown is shown in the charts below. The largest proportion of the marks are on the Portfolio station – some of which are for the validation of your Self-Assessment Questions but most are for how you answer the mock questions. See our mock interview question bank to see what questions have come up in previous years and how to gain maximum marks from all stations.